There are 2 things you should know before I start this review. 1) What is Xanadu: It’s a place in inner Mongolia which had the summer palace of Khublai Khan who was the grandson of the greatest ruler of Mongolia, Genghis Khan. 2) Who is Marco Polo: Marco Polo was a traveller and merchant who travelled to China and Mongolia somewhere between 1271 and 1295 alon with his father and Uncle. When he went back to Venice, where he’d come from, he wrote a book about his travels called Travels of Marco Polo. The author relied on this book while writing Daughter of Xanadu. Lets get to the book now. This book is about a teenage girl called Emmajin who was the grand daughter of Khublai Khan. She was unlike other royal princesses who simply wanted to enjoy the comforts of palace and laze around the whole day and just be content with a life of doing nothing. Our Emmajin wanted to be a warrior, she wanted to fight for the great Khan and return home victorious after defeating the enemies of Mongolia. She wanted to help the Khan achieve the goal of ruling over the entire world. At least that’s what she thought she wanted to do. Enter young Marco Polo. The Khan was not very sure of the agenda of these European merchants so he assigned Emmajin to befriend them and spy on them. Morco Polo has the exact opposite views than Emmajin. He thinks people should exist in the world peacefully and that all this war and occupying other countries was unnecessary. Of course Emmajin disagreed with him. All she wanted to was fight in a war. So this is the basic premise. What attracted me to this book in the first place was that it was set in Mongolia. There aren’t many YA books that are set in Mongolia. And also that it was historical fiction. I thought the first part was slow without much action. The author was basically building up Emmajin’s character and her background. Also, this was the part where Morco Pola nd Emmajin got to know each other and were attracted to each other, at least on a superficial level. The second half is where the action starts, when they travel to these remotest parts of Mongolia and China on a mission. This was my favorite part,the lands they crossed, the people they met, the adventures they had (not spoiling anything here) and how Emmajin and her relationship with Morco Polo changed because of all this. There is only one thing I disliked in the novel. Emmajin never existed. Morco Polo did not meet anyone in Mongolia and fell in love with, at least none that is documented. I don’t mind introducing new supporting characters and new situations to build a story but I definitely have a problem when 2 of the main characters are fictional (namely Emmajin and her cousin). It kind of negates the whole romance for me. But overall I really liked the book. I liked reading about Mongolia and their customs. I also liked reading about how it might have been for Morco Polo in ancient times. I loved that I got to learn a bit about history. I definitely recommend reading this book. I love books by Jean Sasson. The first time I read on of her books I was in 11t Grade and it was probably my first non-fiction book. I have been a huge fan of hers ever since. I think her writing is simple but the stories in her books are heart wrenching. I remember I cried a lot when I read her book Mayada. She writes about women in the Muslim World. She writes about their oppression at the hands of those they love, oppression by their government and because of age old beliefs that are hard to shake even in this century. This book is no different. For the Love of a Son is the story of a woman from Afghanistan called Maryam. Jean Sasson begins by telling us about Maryam’s grandmothers forced wedding to a man much older than her and the brutality she faced after he died. Maryam’s father was a very kind man in comparison to most of the Afghan men. She grew up under the loving protection of her much liberal parents and was, in a way, naive about the world around her. She saw them suffer abuse and thought them weak for not raising their voices. But her perfect world came crashing down when their family had to flee Afghanistan after the Russian invasion. Their family immigrated to America where she thought she would be free from the sanctions imposed by Afghanistan government and their society. Maryam’s father married her off to a fellow Afghan who turned out to be a very violent and abusive man. When she had a son, he fled with him to Afghanistan. This story is mainly Maryam’s but it is also the story of all the women who have suffered tremendously because of their government or their culture. This book tells us about so many such woman whom either Maryam knew personally or had heard about. I feel sad knowing there is so much cruelty against women, that their father’s, brothers and uncles who are supposed to love and cherish them, push them into a dark world and leave them without hope or self respect. It’s unbelievable how strong these women are even if it’s for the sake of their family, their children or themselves. I will remember Maryam’s story for along time to come and I hope more people read this book. Note: That’s Maryam on the cover by the way. Also, it’s surprising how much history of Afghanistan is covered in this book which was a plus point for me. I was excited when I saw a graphic novel written by Audrey Niffenegger at the library, so I immediately checked it out. Unfortunately I was really disappointed with the book. The graphics were normal, not bad , but nothing to talk about either. The Night Bookmobile is about a young woman who finds a night bookmobile when roaming the streets one night after having a fight with her husband. She is surprised to find all the books that she has ever read in her life in the bookmobile. I wont tell you what happened because it’s a small book and it would probably spoil it for you. But suffice to say that I didn’t like what happened after that. It’s one thing to love books, even to be passionate about them but I found this to be too much. I believe everything is good in moderation, until it doesn’t overtake the other aspects of your life. 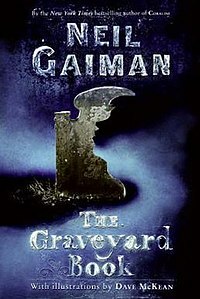 The blurb by Neil Gaiman on the back cover of the book says “a cautionary fantasia for anyone who has ever loved books“. Even though I’m obviously a book lover this doesn’t really ring true for me. Also, I felt it was too short a book to connect with any of the characters, I finished it in less than half an hour. In short, there is nothing that I really liked about this book except the concept of stumbling across a library that will hold all the books you’ve ever read in your life. I feel like I should have liked this book but maybe I missed something. It definitely wasn’t for me. The Mist was first published in Dark Forces Anthology and then in Skeleton Crew as a novella. I picked this up from the Library because I loved Carrie and kind of liked The Eyes of the Dragon and I wanted to read more by this author. But The Mist seems like a wrong choice now. Not because it was bad or anything but because it was forgettable. I finished this novel just yesterday after taking almost 20 days to read it in parts. It was interesting but not unputdownable and definitely not anything unique. Probably if I had read this book some years back, maybe 30 years or so, it would have been very different. But wait, I wasn’t even born then. Wait, even the book wasn’t published then. Never Mind. Anyway…lets see if I can explain the plot in short. David and his 5 year old son are stuck in a supermarket when a Mist like thing suddenly engulfs everything outside the store and strange things start happening. There are weird creatures that come from the mist and eat those who are within their grasp. Nobody knows what these things are and from where they originated. There are hints of some government project gone horribly wrong but obviously nobody is really sure.The rest of the book is basically how they struggle to stay alive and try to figure a way out of the supermarket. I believe there are too many Hollywood movies out there with a similar theme. So the novelty of this concept was lost on me. It felt like an age old formula for a gross story. There were a couple of times I was really scared, especially at the end but mostly I was pretty meh with the whole horror factor. The Mist was good for entertaining for a few hours but I’m not sure I’ll recommend this. You might as well buy Skeleton Crew and get a few other stories with it instead of buying this separately. There were so many times when I picked up a Georgette Heyer book and left it after reading 2 pages. I think it was wrong timing. but when I bought These Old Shades from the library sale and read that it was a romance story, I decided to give it a try. These old shades is about a duke Justin Alastair, also known as Satanas and a very young but spirited boy called Leon, atleast until the Duke discovers that Leon is in fact Leonnie. One night Justin happens to meet Leon when he is running away from his cruel brother Jean. He takes Leon home with him and makes him his Page. Justin does not do it out of pity, he does it because Leon holds a striking similarity with his enemy of 20 years and with whom he still has to settle the score. When Justin comes to know that Leon is in fact Leonnie, he transforms her into a girl and decides to adopt her thereby introducing her to the society. Honestly, I was a little bored by the first half of the book. It was too slow for me. But the second half was amazing, filled with adventure and romance. I cannot tell you much about the second half without spoiling the story but suffice to say I couldn’t keep the book down. There were too many characters which sometimes confused me but by the end I almost got them all straight. Leonnie was such a fun, adventurous character. Sometimes she was too young but sometimes she was much wiser than her age which made her more appealing to me. 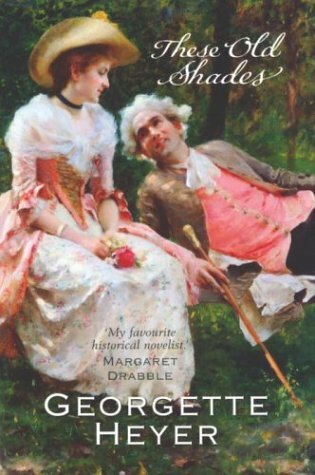 Georgette Heyer’s prose is sharp, witty, mature and yet fun and easy to read. I recommend this book to those interested in fun historical fiction and those who are looking for a good escape story.